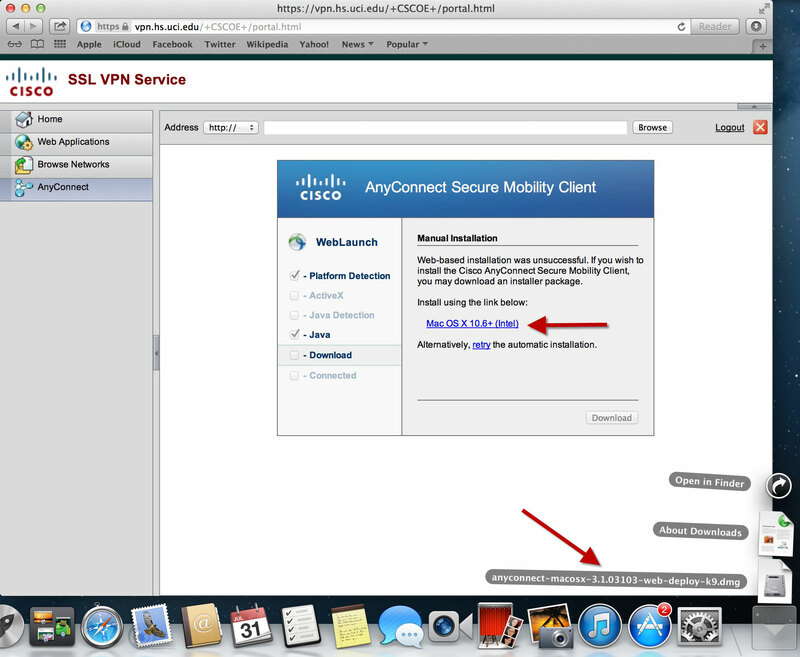 Cisco AnyConnect (Mac VPN) is required to access UCI resource on a local computer connection. 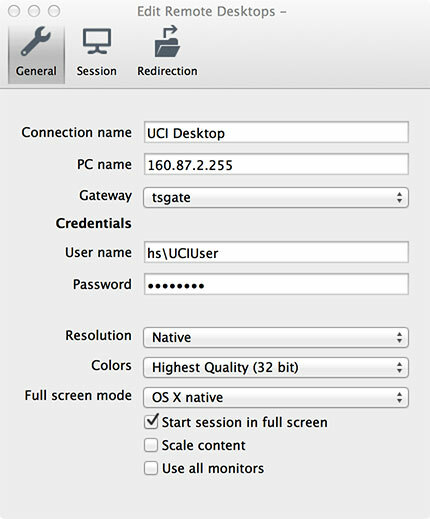 Remote Desktop Connection currently does not require Cisco AnyConnect VPN to connect to a computer on the UCI HS network. 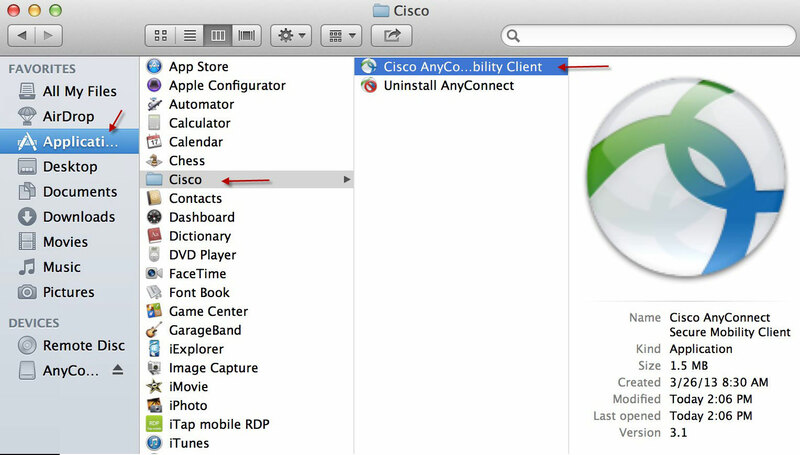 This page explains how to install and setup Cisco AnyConnect & Remote Desktop Connection for Mac. 4. 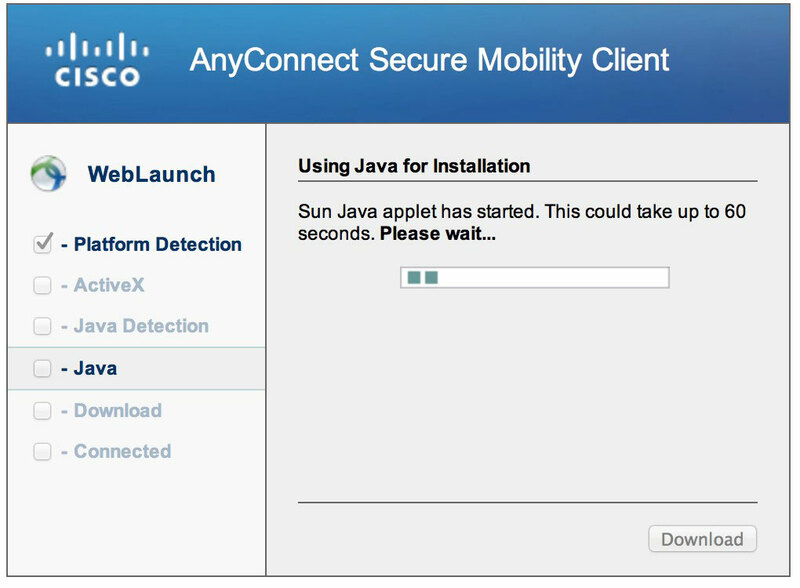 You’ll get see the following Java pop up, please wait. 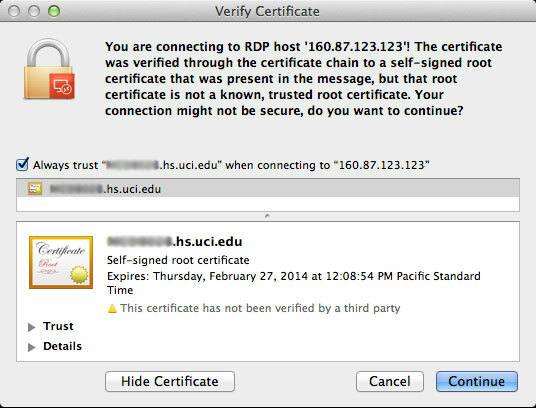 You will need 3 passwords for this: Your iTunes password, your UCI Password and the Administrator password for your Apple Computer. 2. 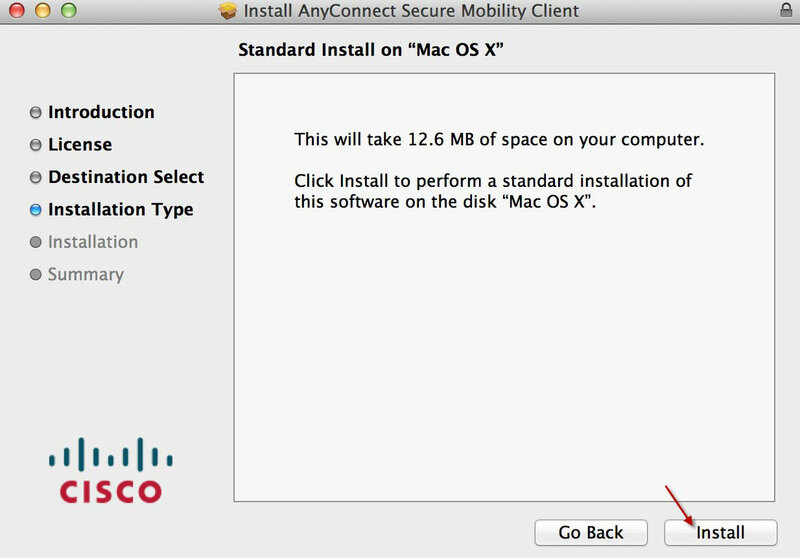 Go Here: https://itunes.apple.com/us/app/microsoft-remote-desktop/id715768417 or Search "Microsoft Remote Desktop" in the Mac App Store to download the program. 3. 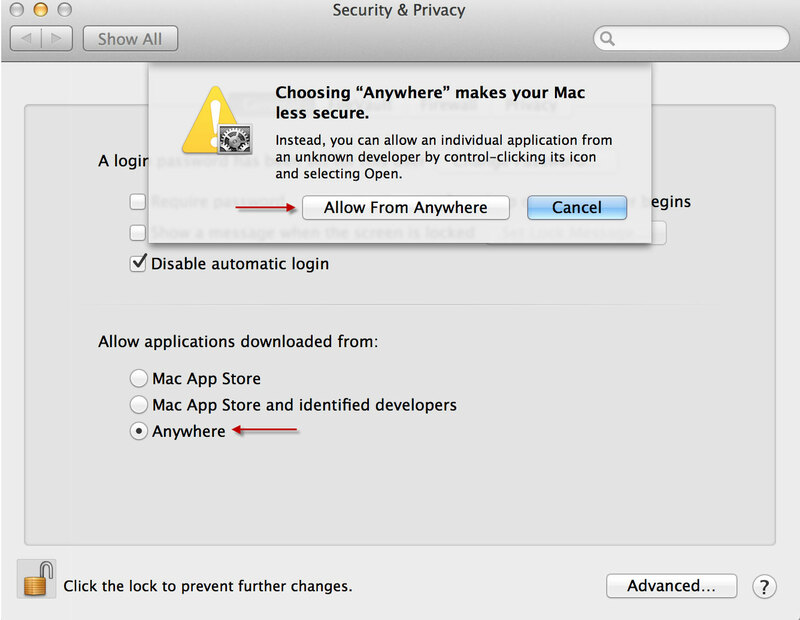 Locate and 'Double-Click' the downloaded program located in your applications folder. 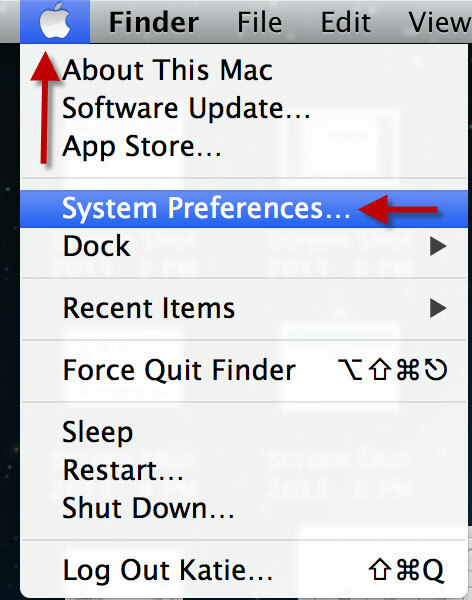 When opened for the first time, you will need to click the 'New' button (plus sign icon). 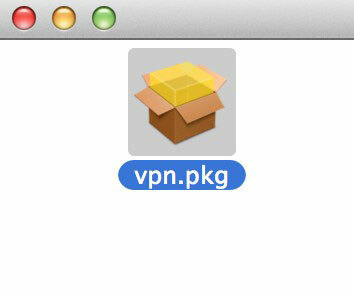 Under PC Name, Enter the remote computers hostname or static IP Address followed by your appropriate HS\username credentials. When finshed, click on the 'Gateway' dropdown to add the remote information. In this window, click the'+' sign on the bottem left to add a new gateway. 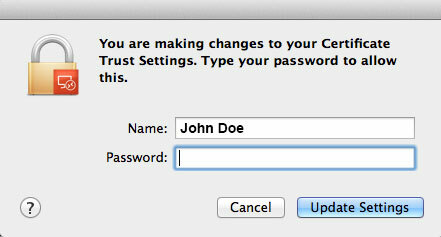 Then input the settings as seen below, ensuring you use your own 'HS\username' credentials. 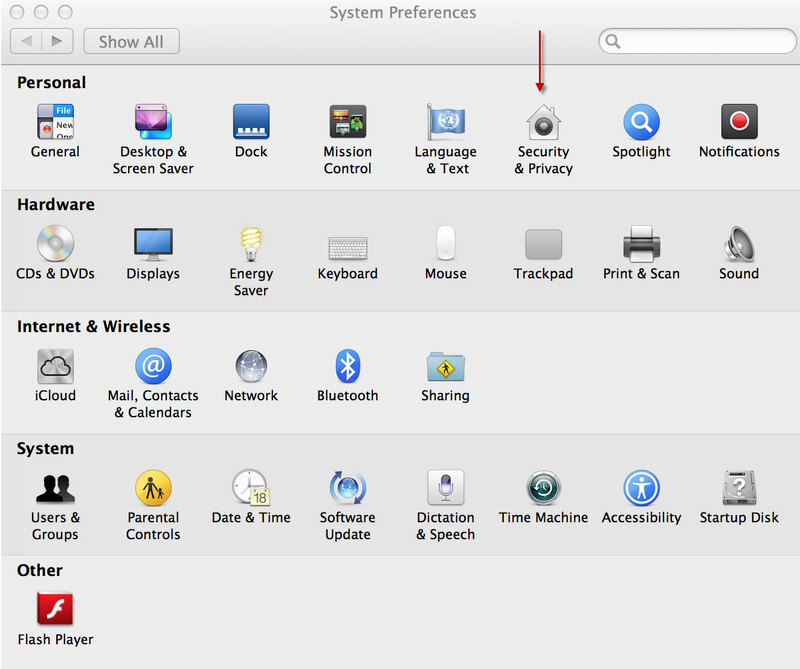 When finished, click the red 'X' to close the window and exit. At the main screen of the Microsoft Remote Desktop app, you may now click on the 'start' button to initiate the connection following the steps below. 1. 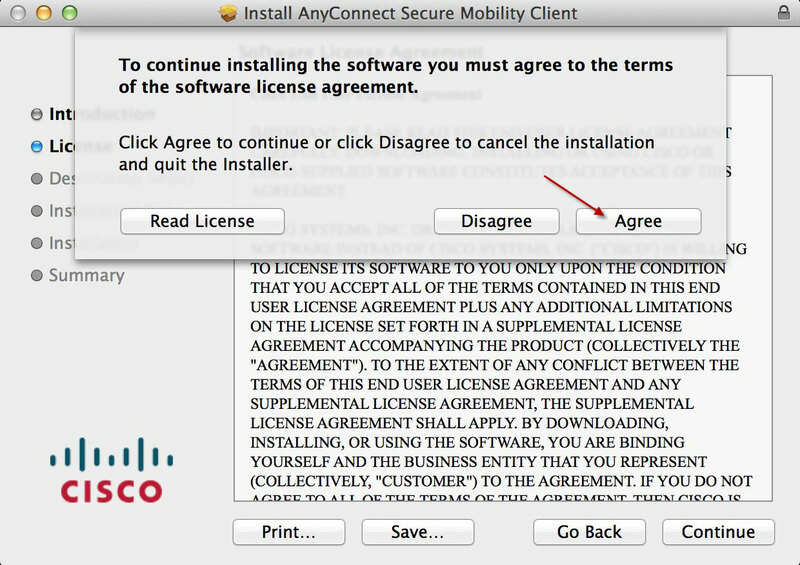 The first time you connect to your remote computer, it will show you show certificate, click on the 'Always Trust...' check box, then click continue. 2. You will then be asked to authenticate with your Apple Computer Administrator password. This password *may* be blank and you can simply click the 'update settings' button. 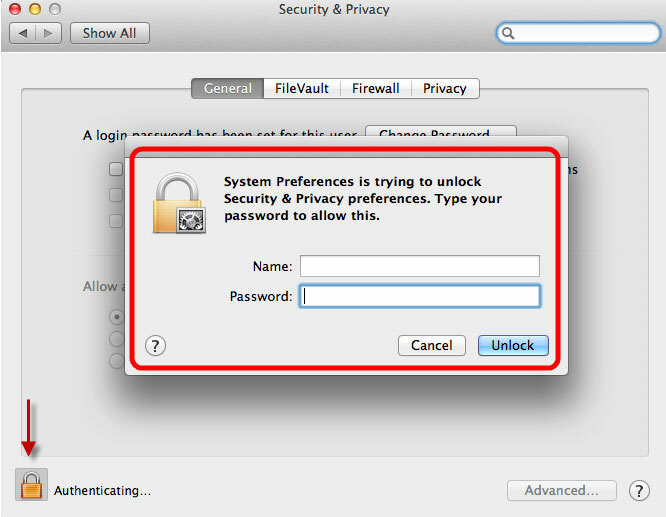 If leaving the password blank doesn't work, it may be your iTunes password or another that was entered when the computer was setup for the first time. 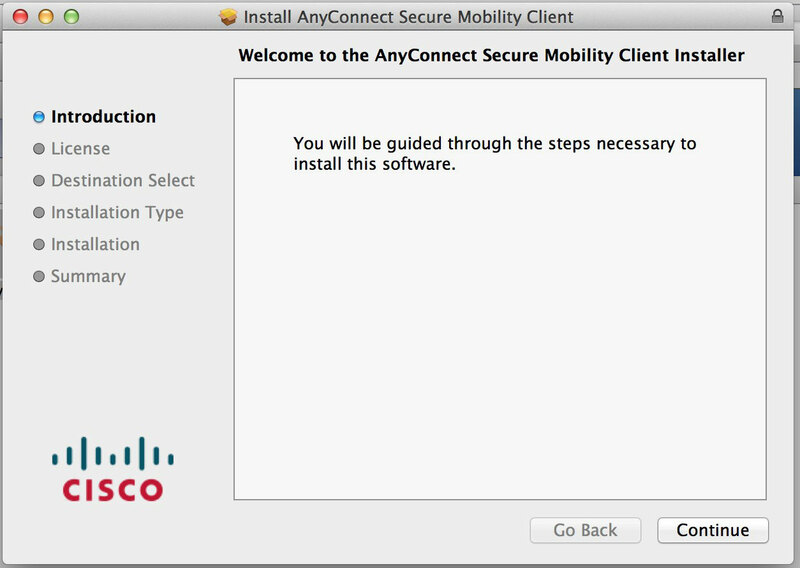 Once you click the 'update settings' button, you will be connected to your remote computer and the remote connection has been completed. You are now finished.